Objective: To understand the science behind tropical storm formation. Starter: Hurricanes are big news - Check out the compilation to the right! All the following tasks on the background to tropical storms can be completed using the worksheet. To access this, click on the blue tab to the right. Hurricanes: A tropical storm is a large low pressure system characterised by high winds and heavy rain. They are also known as typhoons in East and South-east Asia and cyclones around the Indian Ocean. To be classified as a tropical storm, winds must exceed 119km/hr (74 mph). Small low pressure systems are called tropical storms (63-118km/hr) and tropical depressions (0-62km/hr). Task 2 - Watch the second video - What are Tropical Storms? from the Met Office and study this excellent infographic. a. What are the different names given to tropical storms in different parts of the world? b. 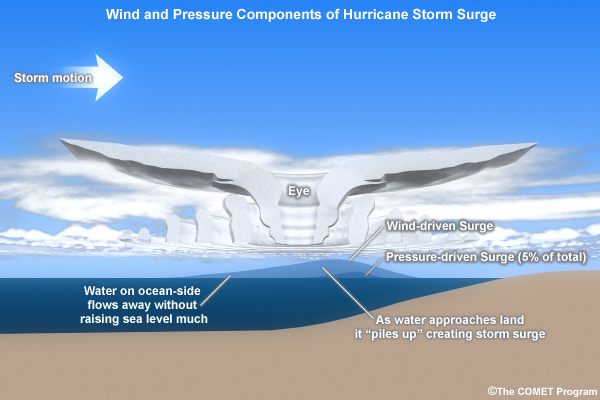 What are the 'key ingredients' of hurricane formation? c. In what latitudes do tropical storms form? e. Explain with the use of a diagram (hand drawn) how a tropical storm forms. f. How are tropical storms measured? g. Using the diagram to the right, explain how a storm surge occurs and the dangers it presents. Objective: To study the progress in tropical storm prediction in the USA. The following tasks for prediction and frequency can be completed using the worksheet to the right hand side. Task 1 - Watch the CBS YouTube video to the right. Outline how storms are tracked before they make landfall in the USA. Task 2 - Conduct some research into the National Hurricane Centre in the USA. Complete a brief 5W's case study on the organisation. c. Explain why France only rarely experiences tropical storm events. The warning given to residents and the preparedness of residents. However, even developed country's like the US can suffer massive damage. Hurricane Katrina which was category 5 caused widespread damage and loss of life despite warning and defences. a. Which USA States and cities are most at risk in the the USA from hurricane activity according to the map above. b. Which Caribbean islands are most at risk? a. 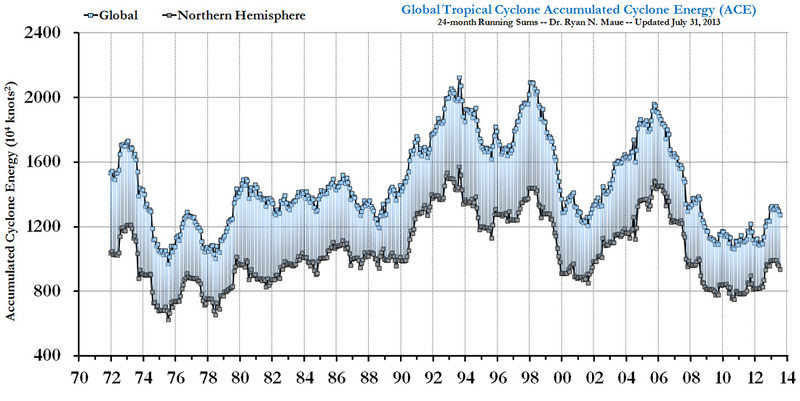 How long does the tropical storm season last for? b. 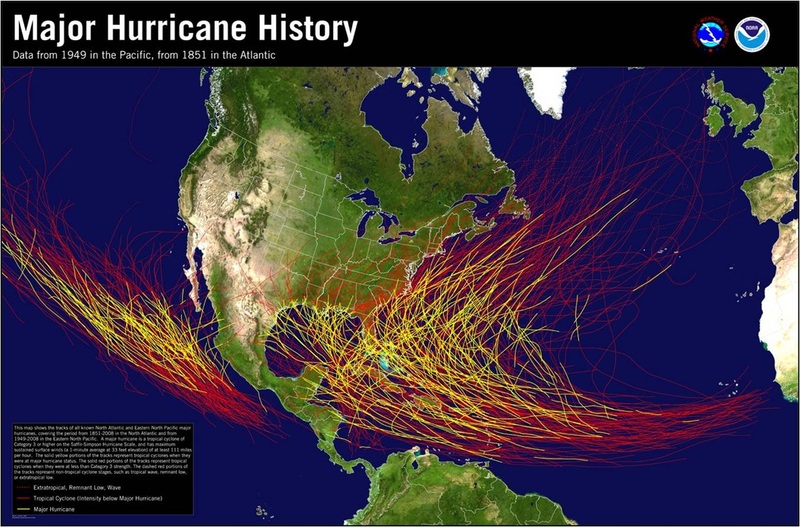 Which time period sees the most hurricane activity? d. When do Hurricane Forecast Centre staff take their holidays?! Task 3 - Using the YouTube video to the right, explain the link between Global Warming and tropical storms as set out by Time magazine.